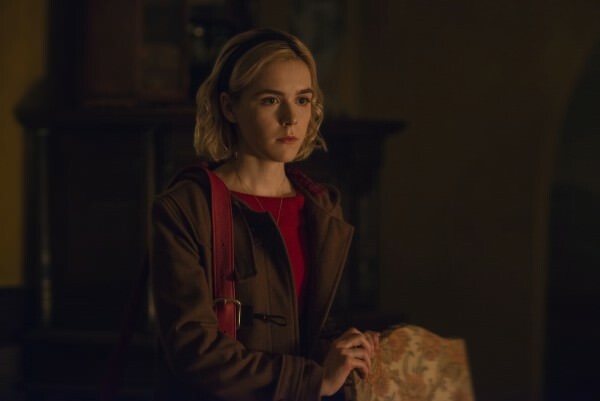 The Chilling Adventures of Sabrina has done well for Netflix both drawing critical praise and viewers. 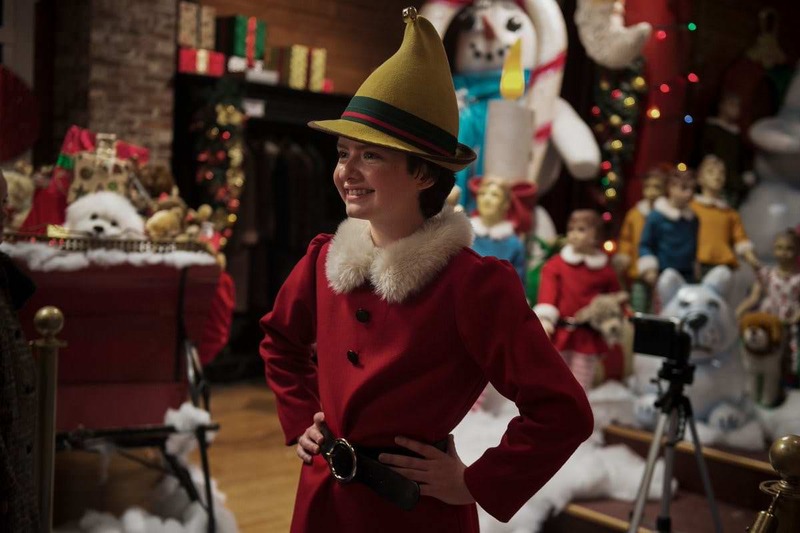 Now Netflix is rewarding the show with a Christmas Special. The Christmas Special will come out on December 14th is titled "A Midwinter's Tale". It is expected to pick off where the first season left off. 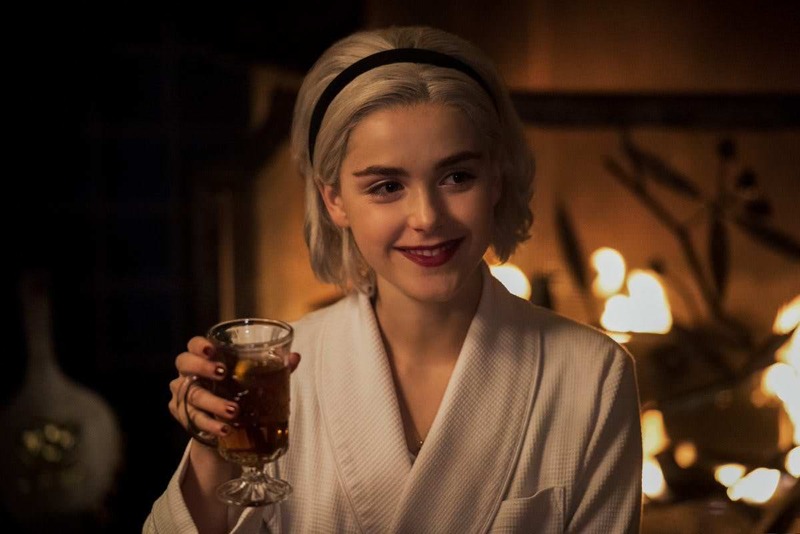 So we will get to learn more about this darker hearted and white haired Sabrina. Also looks like we might get......Christmas Cookies......Winters Solstice Cookies? Looks like Zelda is baking and is worried about something. But what? Harvey still looks a bit grumpy with Sabrina. The whole brother thing and the white haired stuff apparently got to him. Not sure what his deal is though I think she looks AWESOME. Susie is an elf now. Or maybe she just has a job at the mall. Ambrose looks like he is getting into something. Or trying to figure out how to get Sabrina out of something more likely. Many people know the Sabrina show from the 90s with its cute sitcom take on Sabrina the Teenage Witch. 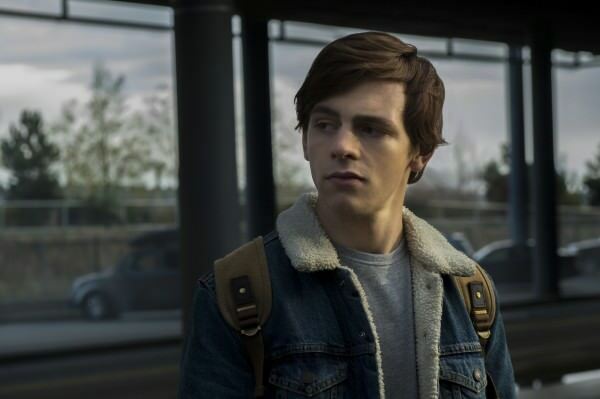 The creators who brought us the darker version of Archie in Riverdale now have a much darker show in mind for Sabrina this time around. 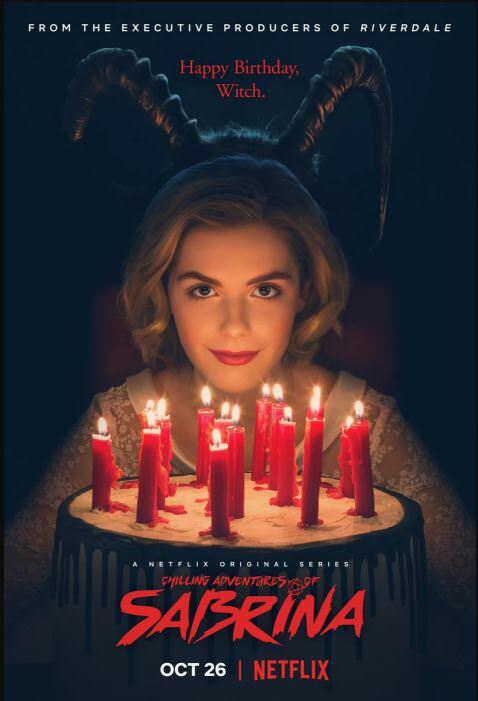 Sabrina will literally be out to save her soul from Satan in The Chllling Adventures of Sabrina to premiere on Netflix on Oct 26th. 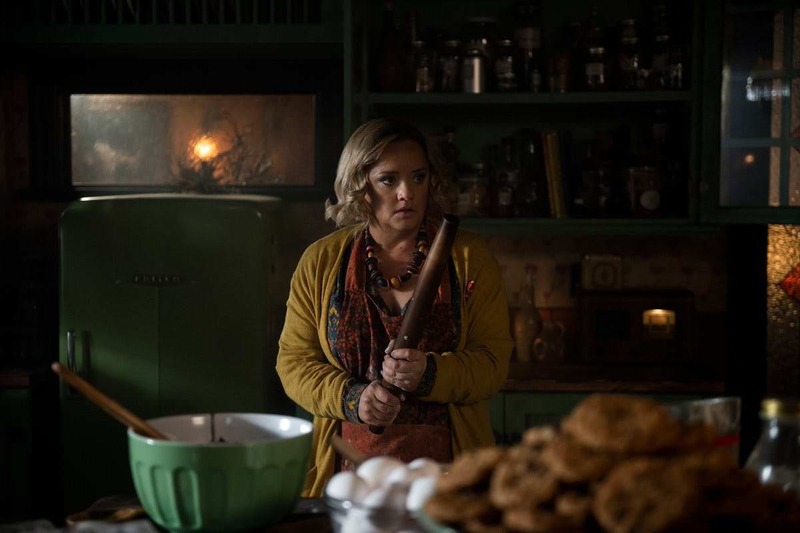 We now have images, posters and character descriptions from a show that is being descibed as being based on horror works like Agatha's Baby and the Exorcist. 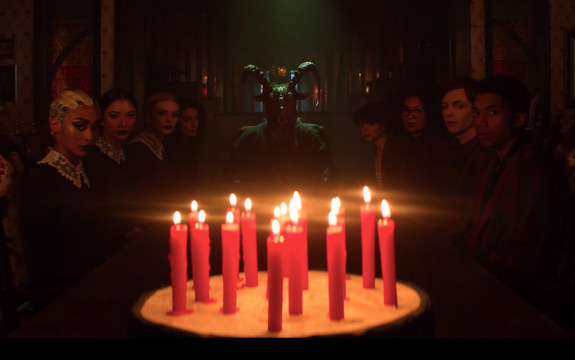 The show is heavily based after the modern Chilling Adventures of Sabrina whose comics you should check out. Here are some of our favorites we pulled from using our relationship as an Amazon Affiliate. Sabrina is the main character of the series. She is strong young woman whose mixed magical lineage tears her between the human world and that of the supernatural The series begins at the onset of her dark education as a sorceress, that she will struggle to keep inline with her normal human life at Baxter High School. She is intelligent, headstrong, compassionate and brave. Her courage will lead her into conflict with antagonists in both the human world and that of the supernatural. Sabrina becomes the main hero standing between antagonist supernatural forces and the humans she cares for. The love interest of Sabrina is Harvey a son of a coal miner, he is described as both a dreamboat and a dreamer. 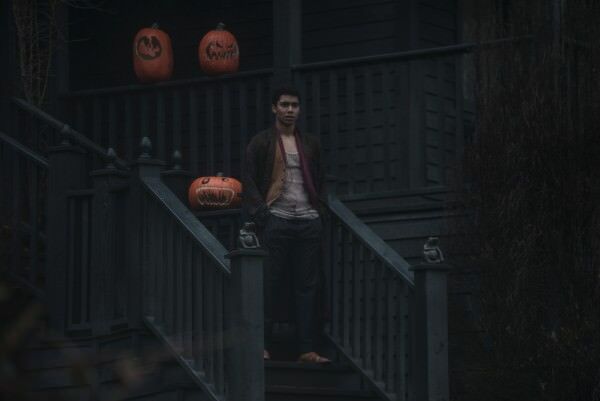 A human grounded in the real world, Harvey is completly unaware of the dark forces conspiring around him and Sabrina. The three Weird Sisters— Are powerful pure witches who look down on Sabrina as a half blood. They also attend the Academy of the Unseen arts. 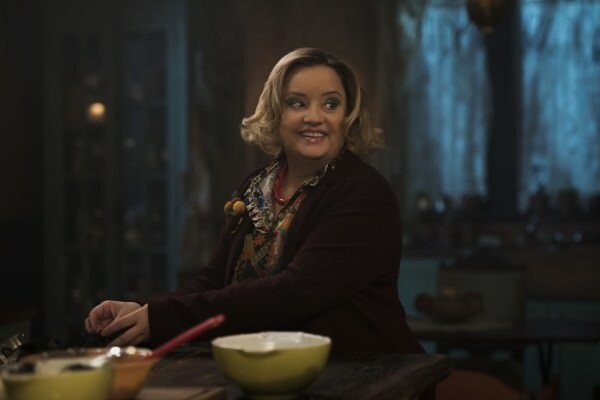 One of the two magical aunts raising Sabrina is Hilda. Hilda is the compassionate and motherly aunt whose sense of humor belie a wicked and ghoulish streak. She is a gifted potion maker who often can be found brewing jars of spit against her families enemies and making love potions for the students of Baxter High. 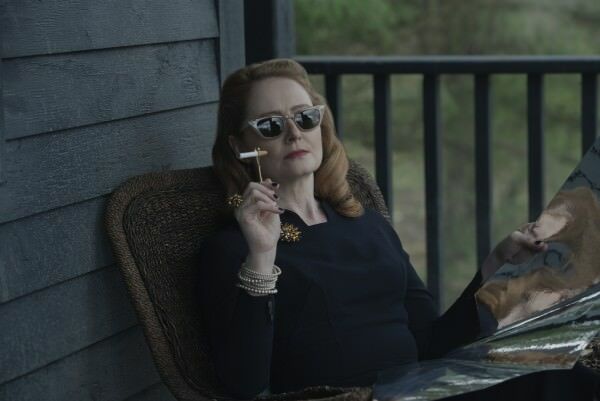 Zelda Spellman is one of the two aunt's that raises Sabrina. Zelda is the stern, formidable disciplinarian of the two. She proudly serves the Dark Lord as a member of the Church of Night. She is very protective of Sabrina as the lioness of the family. Father Blackwood is the High Priest of the Church of Night and also serves as the Dean of the Academy of the Unseen Arts. 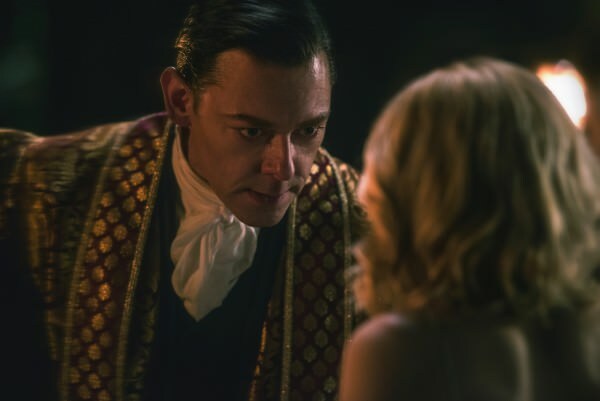 Father Blackwood has a dark and secret agenda that will put him in conflict with Sabrina. 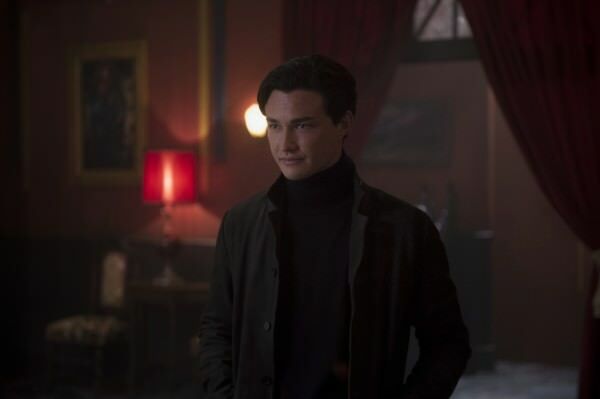 Nicholas Scratch is a handsome, and mysterious warlock at the Academy of the Unseen arts he seems to be another potential love interest for Sabrina. Scratch is said to be a fan of Sabrina's Father's teaching and is drawn to her while many of the other witches and warlocks look down on her mixed mortal and immortal heritage. Sabrina will have two strong friends in the mortal world with Rosalind Walker and Susie Putnam. 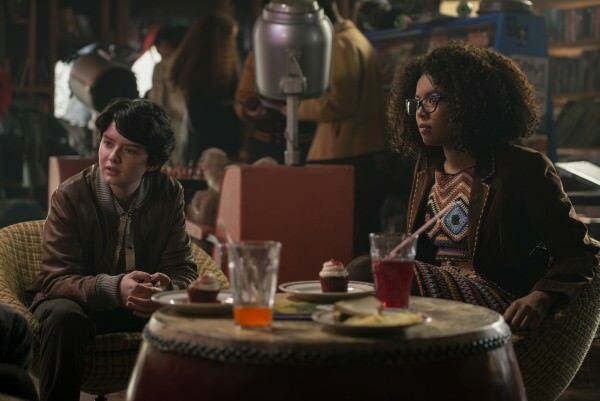 Rosalind is described as proud and brash daughter of Greendale's minister and is Sabrina's best friend in Baxter High School. Susie is another friend at High School is a member of the High School's WICCA club. She is described as brave even though she is bullied. She lives on a farm on the outskirts of town where she deals with her own supernatural threat. Mary Wardell is Sabrina's favorite teacher at Baxter High. Unfortunetly for both of them she becomes possesses by one of the agents of the Devil, the Devil's handmaiden Madam Satan. 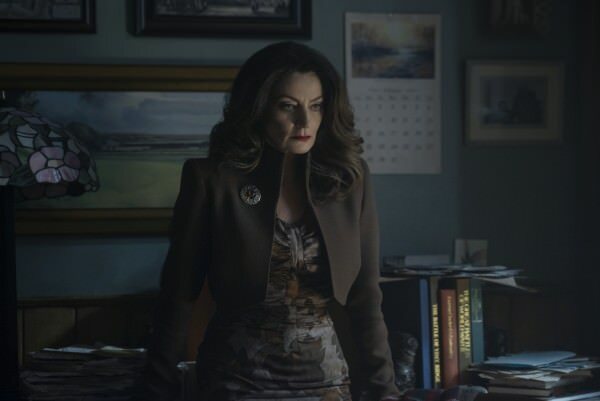 After being possessed by Madam Satan she takes a turn toward being a sultry manipulator attempting to scheme a way to bring Sabrina down the path of Night. Sabrina's home has another ward from the Spellman clan in Ambrose. Ambrose is Sabrina's cousin from Englad. The troublemaking warlock has been placed under house arrest by the Witches Council. He said to be a mischievious partner in crime of Sabrina's.